The European Commission entitled its proposal for the next Multi-Annual Financial Framework ‘A budget for a Union that protects, empowers and defends’, but will it really defend all its citizens? 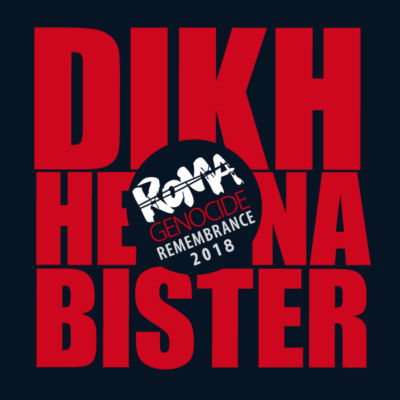 While we remember the victims of the Roma Holocaust on 2nd of August, racist crimes against Roma still continue in Europe today. Approximately 12 Million Roma are European citizens, and according to the Fundamental Rights Agency, 80% of them are at risk of poverty. One in three Roma are victims of harassment and 20% of non-Roma would not like to have a Roma colleague. Antigypsyism, a specific form of racism against people who are perceived as Gypsies, is today the most widespread and socially accepted form of racism and is the basis of the social exclusion and poverty of Roma people. Also in 2017 the European Parliament adopted a report on the “Fundamental rights aspects in Roma integration in the EU: fighting anti-Gypsyism”, highlighting the persistent antigypsyism in politics and societies across Europe, despite the efforts undertaken under the EU Roma Framework and the legislative framework against discrimination, hate speech and hate crime. Is there an end to the Genocide of Roma in Europe? However, while we commemorate the Roma Holocaust on 2nd of August, today’s reality proves that extreme efforts are still needed to combat antigypsyism across the EU. More than 70 years after the end of World War II, antigypsyism finds its expression in a series of hate crimes. These crimes are hardly followed up, their racist character is often ignored and they meet little outrage by the majority society. A 13-year old Roma girl in Amfissa, Central Greece was shot by a local businessman on June 4, 2018. The man drove by the Roma camp and fired with a shotgun at the inhabitants, killing the young girl. In July 2018 in the outskirts of Rome a 14-month old Roma baby girl was shot in the back while being in her mother’s arm. The man who shot her with an air rifle from his balcony claims it was an accident as he was cleaning his gun. Just outside the EU’s borders, in Ukraine, 23-year old David Popp was murdered in his sleep in the frame of several anti-Roma pogroms by neo-Nazi gangs . At the same time, Matteo Salvini, Minister of the Interior of Italy, asked for a census of Roma and regretted that he could not just kick them all out of the country; but even this, or hate speech in the European Parliament, regular evictions of Roma from their homes or the demand for segregation of Roma children in school by non-Roma parents do not cause any bigger concern by decision-makers and citizens in the EU. These cases of extreme racist violence, however, should lead the EU institutions to take real action. Will next EU Programming Period include more than a lip service to combatting antigypsyism? The next EU Multi-Annual Financial Framework is currently negotiated. It is now time to dedicate sufficient resources to combatting antigypsyism through a strong EU Roma Framework that has the fight against antigypsyism at its core. Addressing the social policy areas of employment, education, housing and health is crucial for their social inclusion, but will not be enough to end Roma exclusion when hate crimes remain completely unchallenged. With the Race Equality Directive, the Charter of Fundamental Rights and the Articles 2 (rights of minorities) and 10 (combatting discrimination) of the Treaty of the European Union, a strong legal basis exists for the EU to combat antigypsyism. The next MFF is the chance for EU policy-makers to give more substance to these commitments and to do everything in their power to make sure that Roma will not have to face a new genocide.